A s a global training partner, FlashPoint can support your experience with The Leadership Challenge® in a number of ways, including when you want to administer a program or assessment yourself. 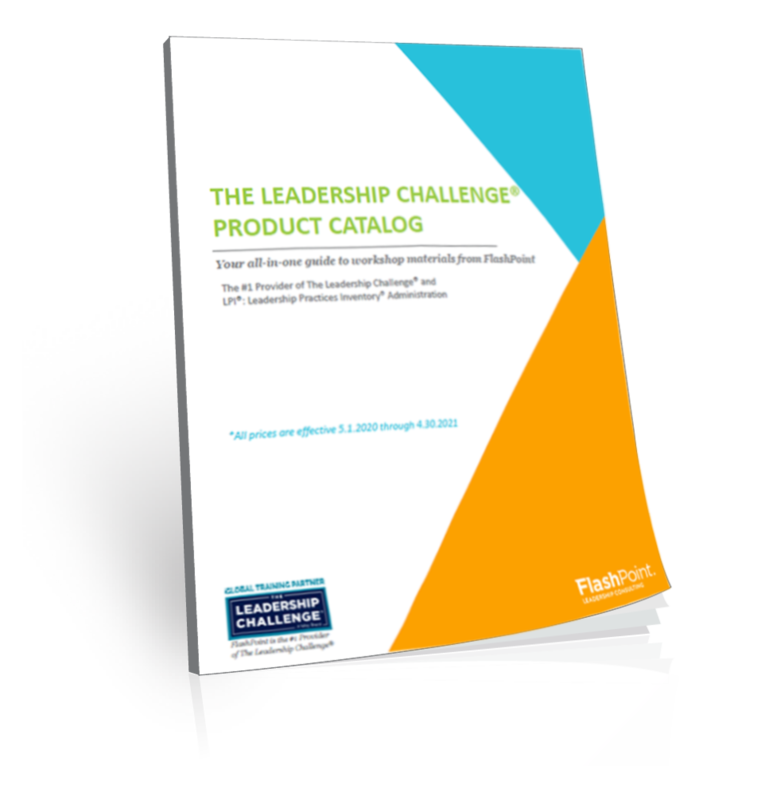 As the Number 1 Provider of The Leadership Challenge®, we not only provide training to organizations, we also offer the full suite of The Leadership Challenge® Workshop materials and the LPI®: Leadership Practices Inventory® 360-degree assessment instrument to independent consultants and HR and OD business leaders who do not need a customized or facilitated program. The first step for many of our clients who go the DIY route with The Leadership Challenge is to attend The Leadership Challenge Workshop and Facilitator Training, and/or our new LPI® Coach Training program. Ready to get started? Download our product catalog, or contact us to schedule a call or book a demonstration.